Hello! 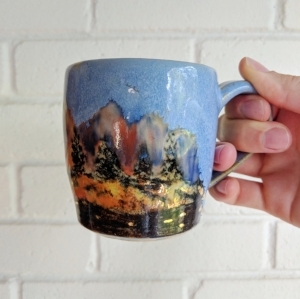 We’d like to share the process for our collection of 11 unique Gold Fire Mugs that will be available to my newsletter first on November 15. Each image has a caption of our process. 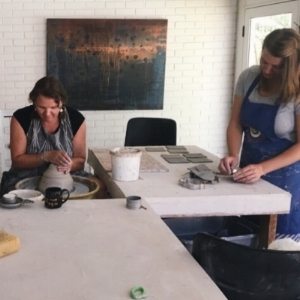 These mugs are lovingly created in Mercedes’ studio in NW Florida. 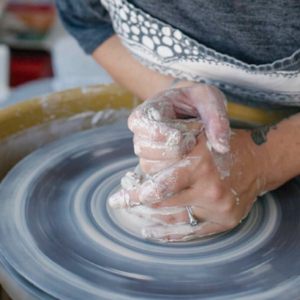 The clay is thrown on the wheel by Mercedes and made into vessels. Working together while kids are asleep is a treat! Then handles are made and attached. 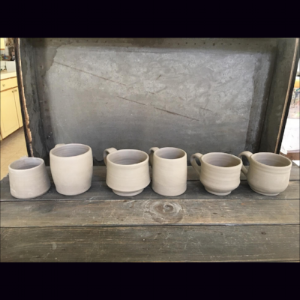 The mugs are air-dried before going into the kiln for the bisque firing. Then I get to glaze the bisque ware! Glazed bisque ware ready for the second firing. 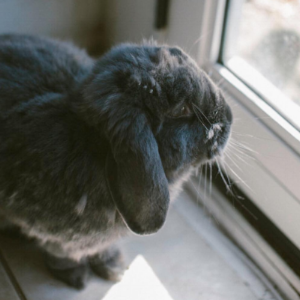 Boudicca likes to hop around and visit us while we’re working in Mercedes’ studio. Glaze firing is finished! Time to see the glazes. Our favorite part of the process! Mugs ready for the gold glaze and the third, and final firing!